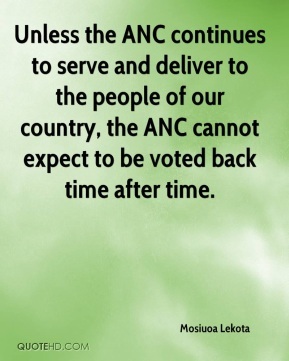 Unless the ANC continues to serve and deliver to the people of our country, the ANC cannot expect to be voted back time after time. 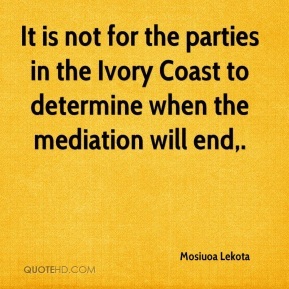 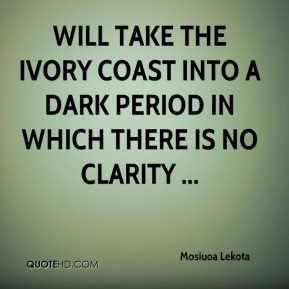 It is not for the parties in the Ivory Coast to determine when the mediation will end. 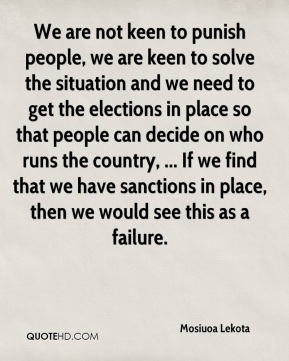 We are not keen to punish people, we are keen to solve the situation and we need to get the elections in place so that people can decide on who runs the country, ... 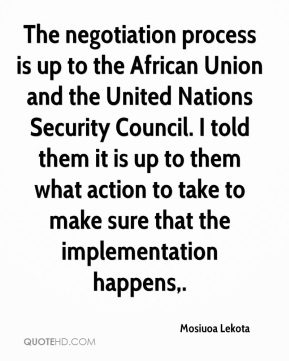 If we find that we have sanctions in place, then we would see this as a failure. 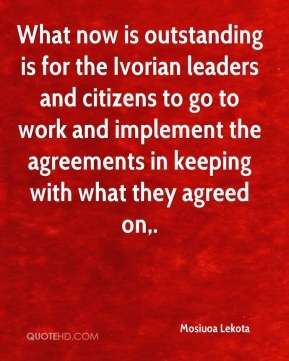 What now is outstanding is for the Ivorian leaders and citizens to go to work and implement the agreements in keeping with what they agreed on. 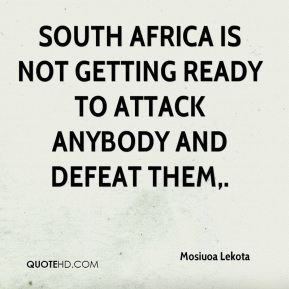 Only when we fulfil (our promises) will people vote us back time after time. 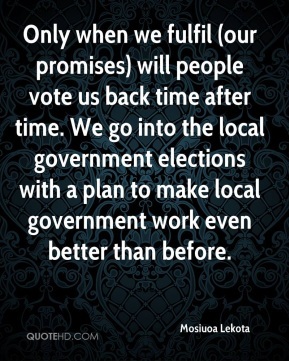 We go into the local government elections with a plan to make local government work even better than before.